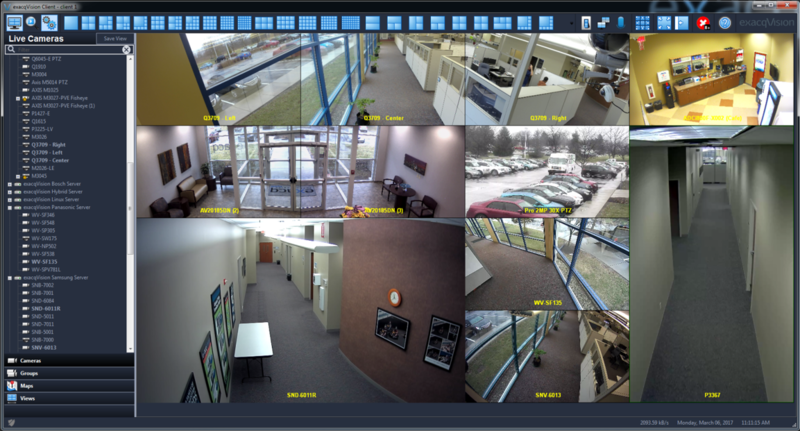 exacqVision 8.4 adds critical cybersecurity features demanded by IT departments, while improving the operator experience. The VMS supports HTTPS to encrypt the communication between supported cameras and the NVR, and users can now easily configure security certificates used by exacqVision Web Services for HTTPS communication. Focused on enhancing usability, exacqVision 8.4 boasts a low contrast GUI designed to address the link between interface ergonomics and operator fatigue. 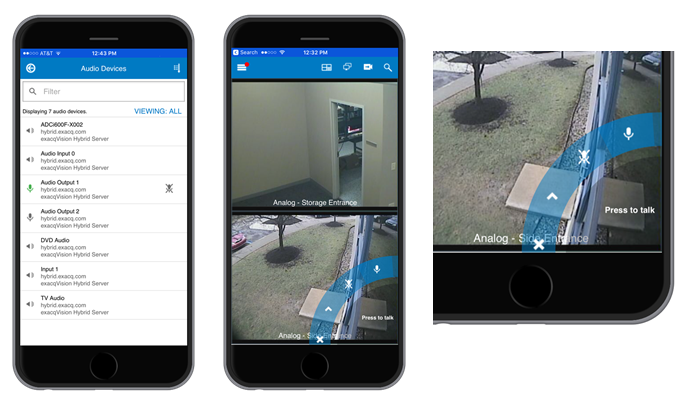 Combined with other features such as two-way audio with Exacq Mobile, PTZ support for Suspect Tracking and more, this release raises the bar for system protection, video performance and intuitive user experience. HTTPS can now be used to encrypt the communication and information exchanged between exacqVision NVRs and supported cameras (it’s important to note that the video itself is not encrypted using HTTPS). 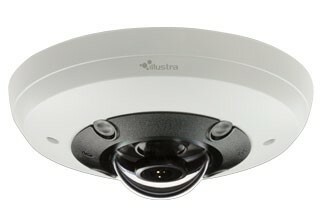 Illustra and Axis camera models are supported at this time. A new low contrast GUI option helps decreases operator fatigue and improves attention to detail in darkened environments. You can create your own GUI theme with easy to edit XML and easily switch between them. exacqVision now offers additional flexibility when configuring events. 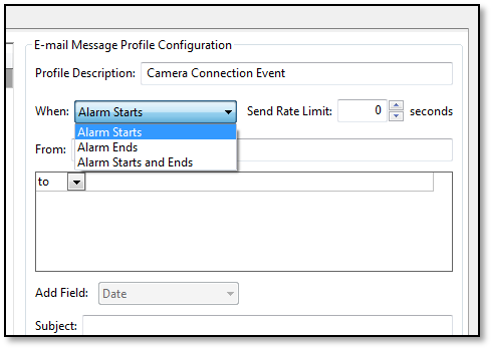 You can configure email notifications to send when events start, end or both. 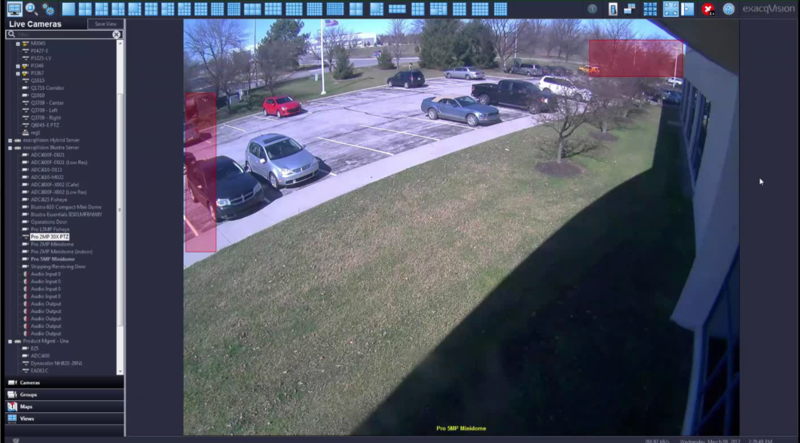 Suspect Tracking links can now be configured to jump to specific PTZ camera presets, enabling faster tracking of suspects through an entire scene. 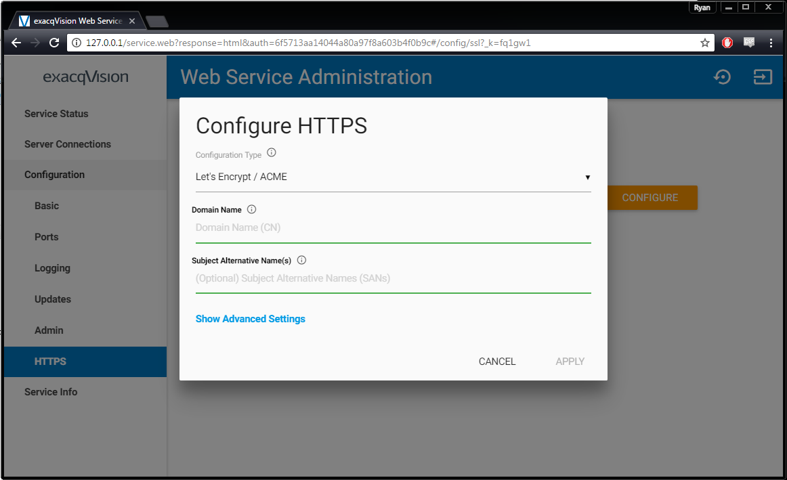 HTTPS is now easier to deploy on the exacqVision Web Service. Within the configuration page, a free, signed security certificate can be generated and applied to the server. Once deployed, all communication between web browsers and the ExacqMobile app is encrypted when using HTTPS. ExacqMobile now supports the use of the microphones built into phones & tablets, allowing security operators a more flexible way to interact with the security environment. 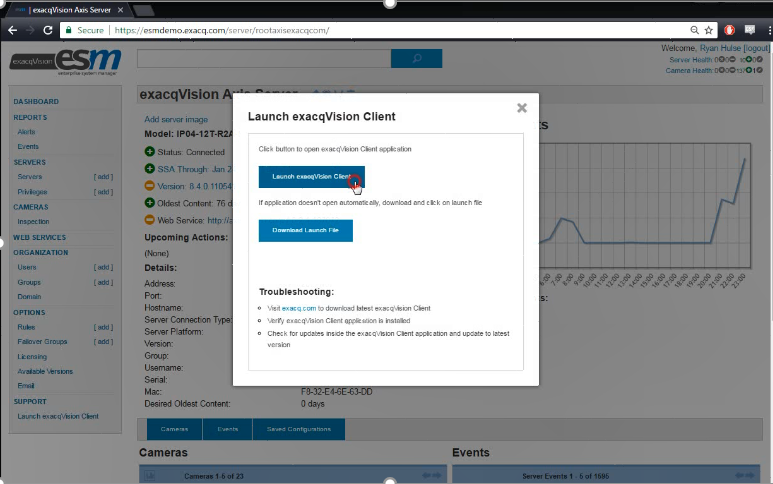 Now, you can launch an exacqVision Client directly from the ESM interface for the quick configuration of server settings. exacqVision now supports Bentel Absoluta and Bosch B-Series & G-Series intrusion panels, with complete control from the exacqVision interface. 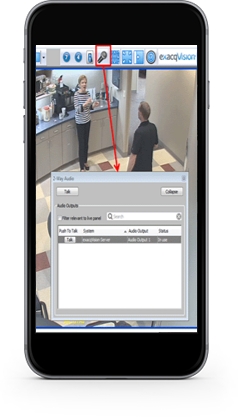 Monitor door access, lock or unlock doors, and arm or disarm alarm systems all from exacqVision and Exacq Mobile. With this release, exacqVision adds more than 100 new camera models bringing the total number to more than 3,100 cameras. 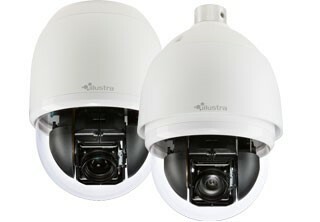 We’ve added models from Illustra, Axis, Panasonic, Arecont, Samsung, Vivotek, ACTi, Pelco. Support for multi-channel encoders that consume 1 license per 4 channels using the ONVIF plugin. Visit our IP Camera database to check for support and integration details. Previous PostexacqVision 8.2 Improves Mobile Experience, Searching, and Incident ResponseNext PostEXACQVISION 8.6: A MORE EFFICIENT USER EXPERIENCE, A BETTER PROTECTED SYSTEM.